A TV Bed can serve as the perfect place to sleep in while enjoying your favourite pastime. Whether you’re looking to catch the news, bing watch a box set or you want to go on a movie marathon, a tv bed is a good bet. Does your idea of a relaxing weekend consist of lying in your bed all day while bingeing on Netflix? A bed that has a built-in TV is one of the best combos for people who want to watch TV whilst enjoying the soft embrace of a mattress. The laziest lie-ins are now more high-tech! A TV bed will have a hollow space near the foot of the bed to allow for a variety of flat screen TVs. Simply press a button on the remote, and voila! Your TV rises or lowers on command. It’s quiet, unobtrusive and cool. 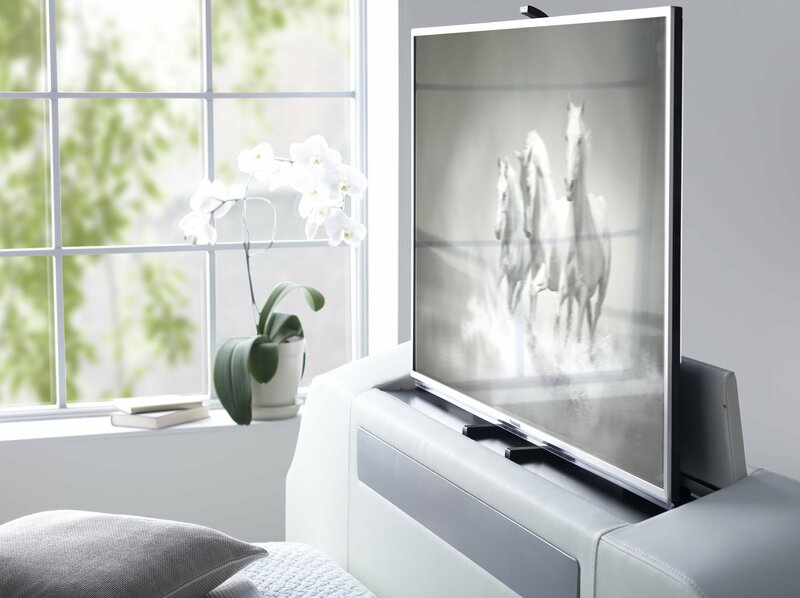 What better way to watch TV than watching TV without any distracting wires? A tv bed will have spaces where you can hide wires. Most TV Beds will have a special compartment and storage spaces where you can put the cables, the remote, gaming peripherals, consoles and satellite equipment. High-end and premium tv bed designs may even have space to build a surround speaker system in. Messy wires will be a thing of the past and you won’t have to worry about tripping on wires and cables. You can eliminate the need to figure out what TV stand to buy because your TV will fit in neatly into the compartment of your bed. This eliminates extra clutter and the need to clear up space in your wall, your drawer chest or your wardrobe. 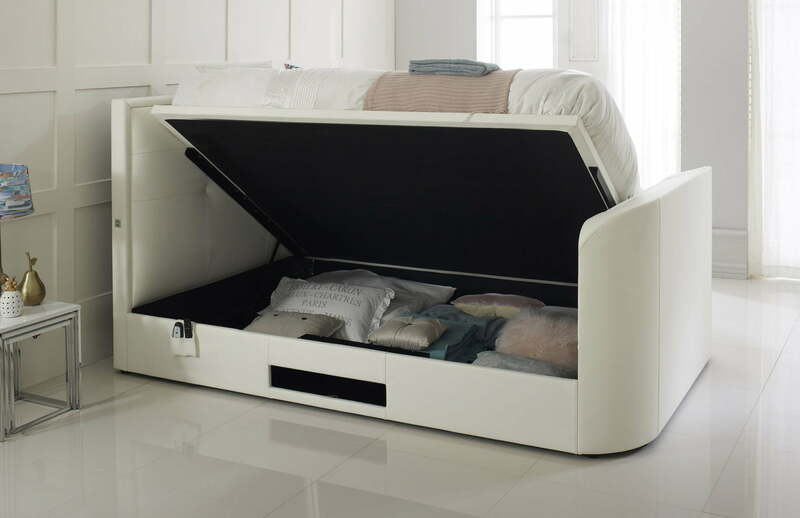 TV beds are perfect for smaller bedrooms because it offers extra storage. Running out of space to stash your towels, bedding or your wardrobe? You can just open up sections of your bed, put them in and forget about it. You spent a lot of time designing your bedroom, adding the right amount of light, decor and accessories. The furnishings, the pillows and the duvet are a perfect match! An ugly black TV can ruin this. Luckily, you won’t have that kind of problem with a tv bed. It’s a remarkable piece of furniture that tucks in your TV at the footboard when you don’t need it and offers a host of storage solutions. 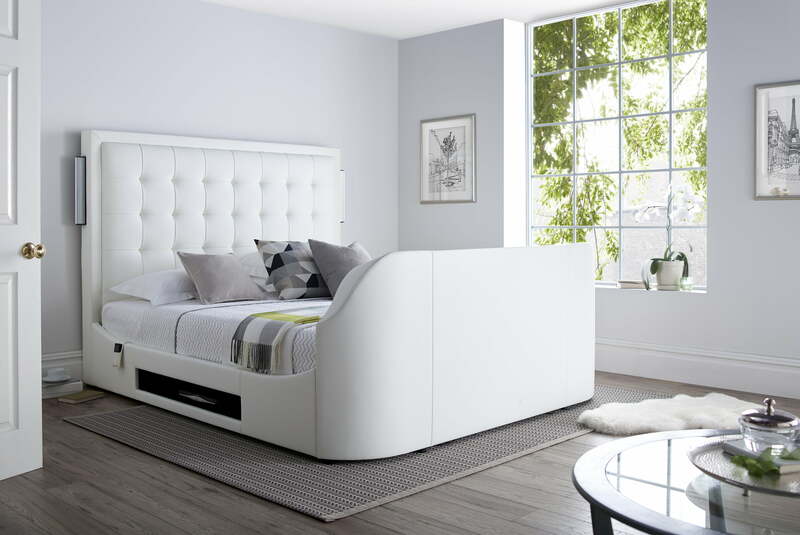 You can choose from a variety of colours and finishes while adding sophistication and luxury to your bedroom. Next post: Are TV Beds safe?